Join FRWA at the Earth Day Festival! Alisa Phillips-Griggs, Water Quality and Projects Coordinator, will be leading a macroinvertebrate workshop for youth and adults alike! Learn more about how insects and bugs can be indicators of water quality. More details to come! Come get your nature on! 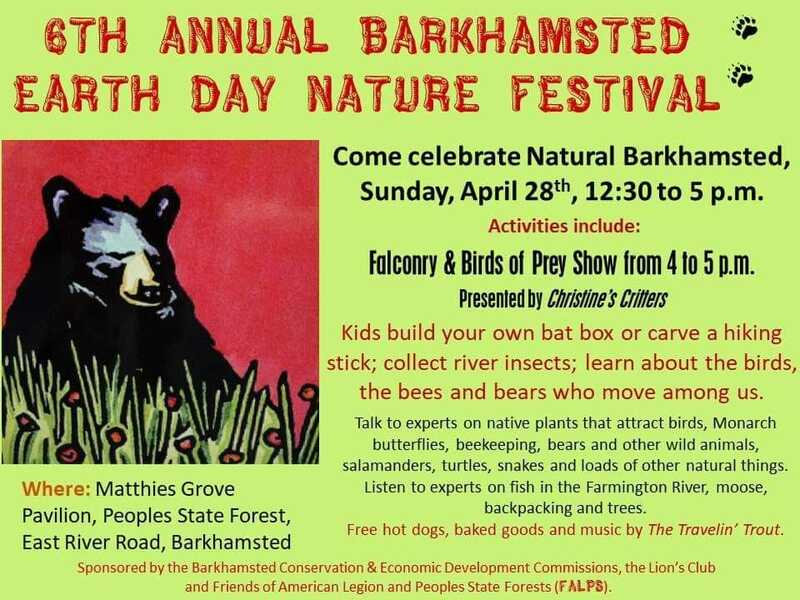 Barkhamsted Earth Day Nature Festival features Birds of Prey show, hands-on walking stick and bat house making for youth, river insect collection, wildlife tables, info on native plants, talks on fire-starting in the wild, camping, moose and many other exciting exhibits. Free and open to all, free food and music. 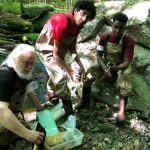 The Farmington River Watershed Association (FRWA) is accepting applications for two River Stewards for summer 2019. River Stewards work in the field, laboratory, and office on projects, including weekly water quality sampling in the Farmington River and tributaries; laboratory analysis; stream temperature monitoring; and road-stream crossing assessments to identify problematic stream crossings, habitat connectivity issues and crossings in need of retrofit or replacement. The River Stewards also conduct community outreach (live and online) to promote safe and responsible river recreation and assist with FRWA’s “River Smart” stormwater pollution reduction outreach activities. Enjoy an inspiring morning with folks like you who want to join in protecting natural resources from undue exploitation and harm. We are sponsoring our partner, the Pequabuck River Watershed Association, who has invited a wide range of people who care about holding on to healthy land, air, food and wildlife and want to learn more about present and potential threats to the sustainability of our environment. Join us! Discover, meet, and learn about conservation efforts near you. 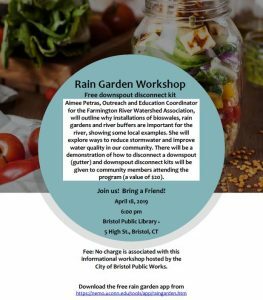 12:20 – 12:45 PM Hear, discuss, and help identify environmental priorities in CT and see how you can help grassroots environmental efforts succeed. 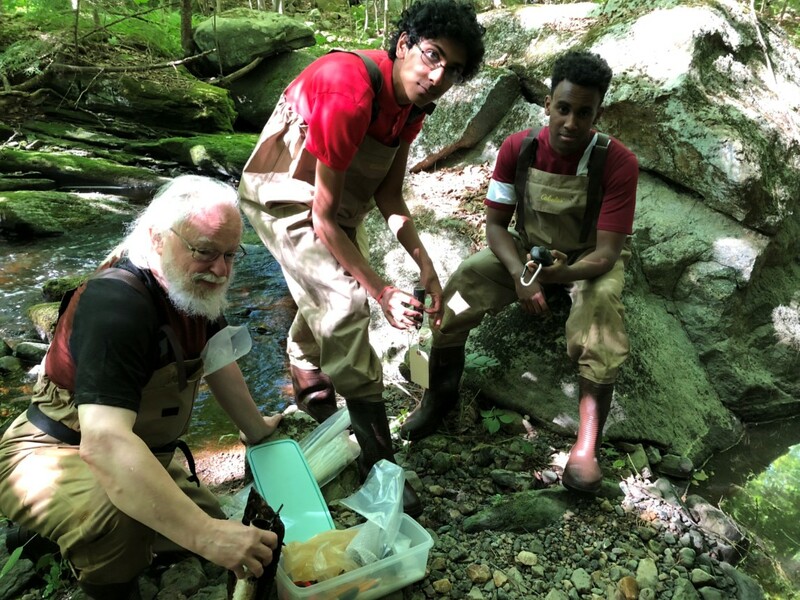 In celebration of the 20th anniversary of Connecticut’s volunteer water monitoring program and Citizen Science Day 2019, we invite you to join us for an exciting day of learning, collaboration, and inspiration! Join us for a full-day of informative presentations, inspiring speakers, and stimulating networking! Who should attend? 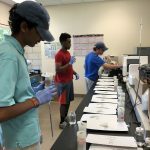 Anyone currently conducting volunteer water monitoring in Connecticut… Teachers seeking to integrate water monitoring into their courses…NGOs and municipal commissions wanting to start a new local water monitoring program…Water experts willing to share their knowledge with volunteers…You! FRWA is prepping for the new year! Here’s a preview…. More kids on the river: You can help us team up next year with youth programs in Greater Hartford and around the Valley. With our partners, we will introduce more kids to river recreation, river safety, and (importantly) river-related careers. Less pollution in the river: Polluted stormwater runoff is our #1 water quality issue and it enters the river from a multitude of sources. Help us become River Smart and we can tackle the problem together, from grassroots to government! 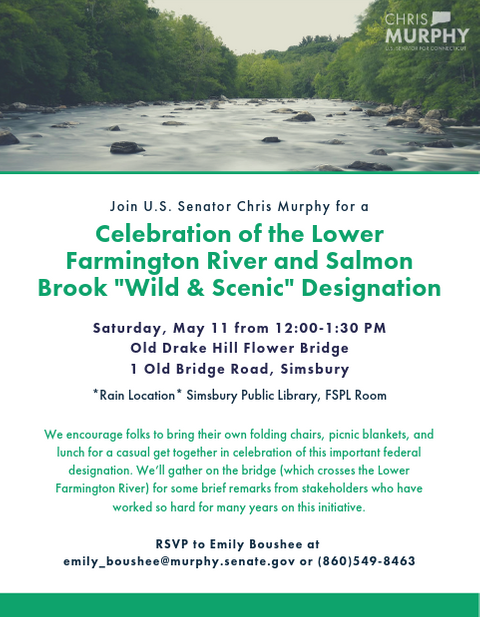 Wild and Scenic River: 2019 is the celebration of 25 years since the Upper Farmington River received its designation. We hope to make headway with the bills for designating 62 miles of the Lower Farmington River and Salmon Brook this coming year! DOUBLE YOUR DONATION! Now is the time to make a special holiday contribution to FRWA. A generous FRWA supporter will match all gifts in December, up to a total of $20,000. We have already raised $10,705 – halfway to our $20,000 goal! 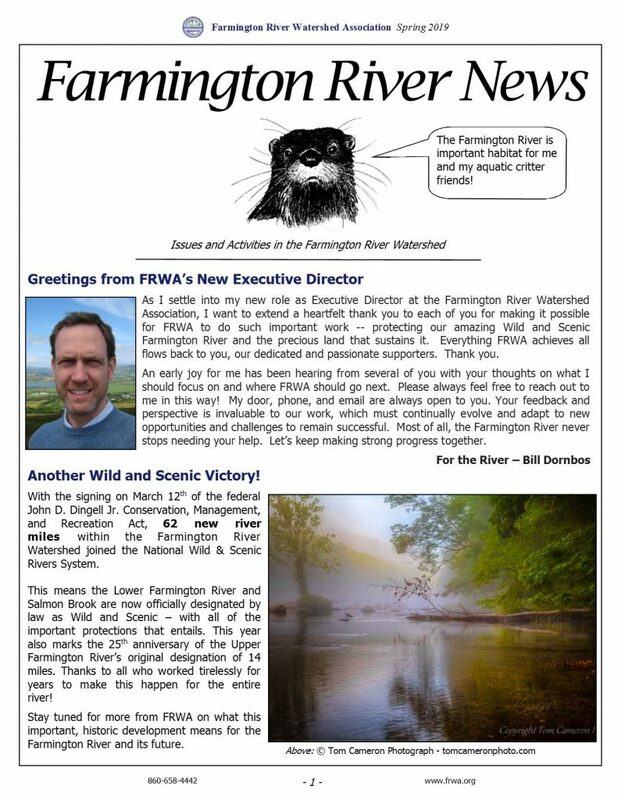 Can we count on your support to make twice the impact for the Farmington River watershed? Thank you for all your support. We can’t do it without you! What a year! 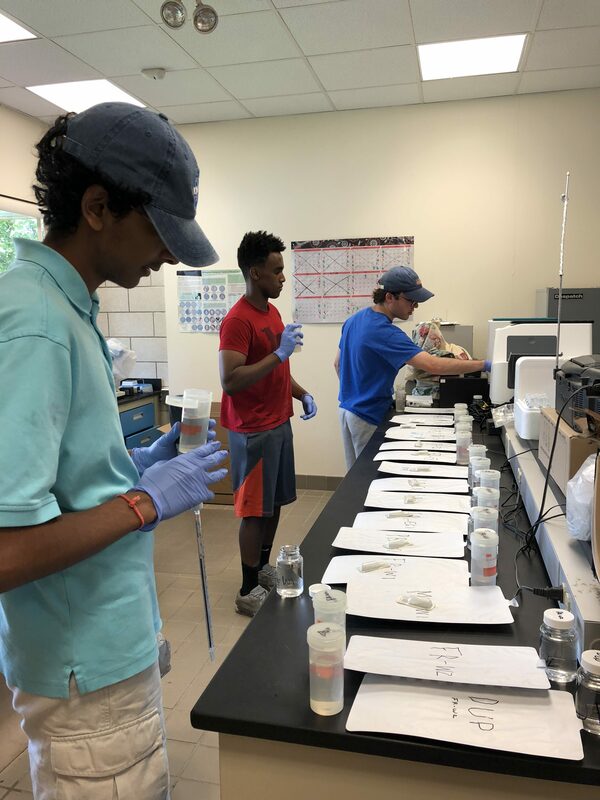 From workshops, river cleanups, rain garden designs, water quality monitoring, internships, film festival and more we have had yet another great year here at the watershed. 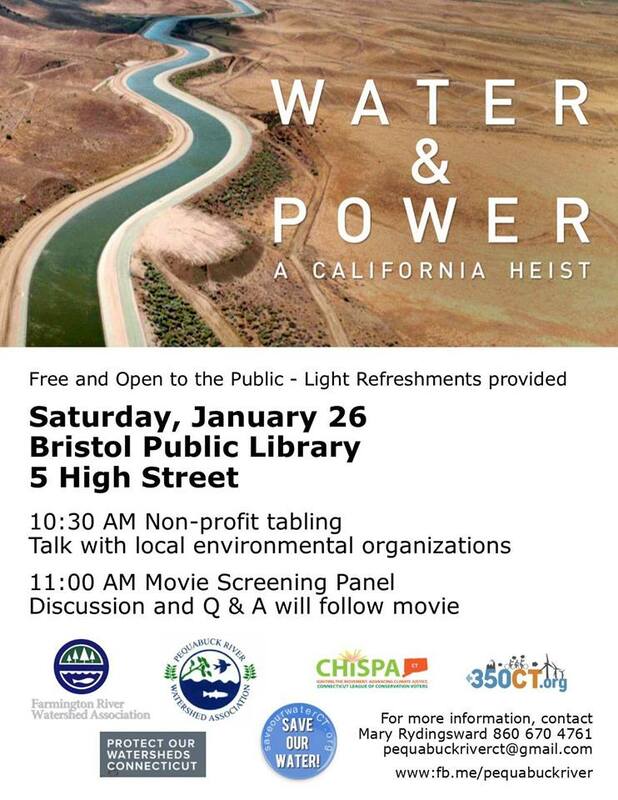 Join us to review and discuss river topics, the 50th anniversary of the Wild & Scenic Rivers Act, and FRWA’s projects. 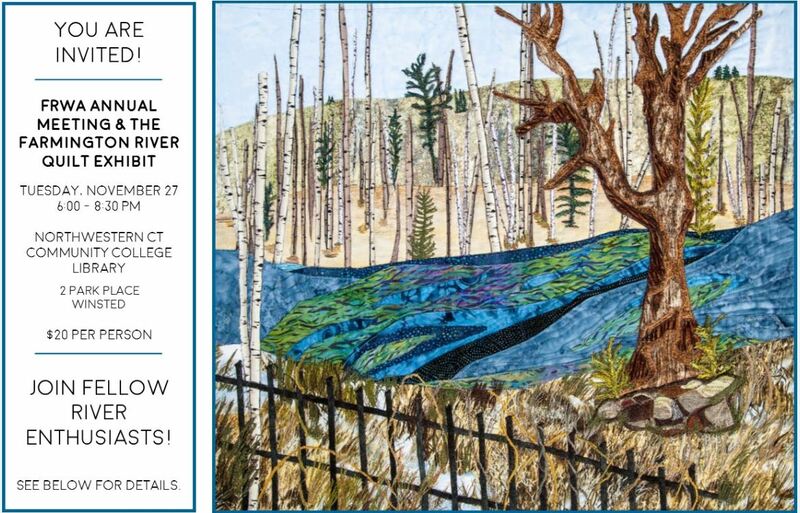 In celebration of 50 years of the Wild & Scenic Rivers Act, the Farmington River Quilt will be exhibited at the Annual Meeting! The quilt is a beautiful rendition of the Farmington River with 24 different artists’ interpretation of sections along the Wild & Scenic segment of the river. The quilt has an immense impact as artwork and as a representation of our beautiful river. Beverages, appetizers, and desserts will be served! $20 per person. Public lands need your vote! The November 6th election offers the chance to protect our state parks, forests, and wildlife management areas. Much of the Farmington River and its tributaries run through state-owned land. Protecting these lands permanently is beneficial to the health of the watershed and for public access to beautiful spots along the river. Your “Yes Vote on Ballot Question #2” can directly affect these public lands now and in the future! Currently, the Connecticut General Assembly can legally sell, trade or give away state-owned land including state park and state forest land WITHOUT a public hearing. This means that state land can be lost to the public without any public input. Vote Yes on #2 and help spread the word about this important question!